Halal means “prepared appropriately for human consumption.” Surprisingly, the Halal Diet is becoming ever more popular. You may be asking; what is the Halal Diet? Think of Halal as the Muslim equivalent to Kosher. However, the guidelines to what is “kosher” in Muslim society differ from the Jewish guidelines that you may already be familiar with. Islamic dietary laws are stricter than kosher practices but also share similarities. The diet dates back to the earliest groups of Muslim people. Pig and other cloven hoofed animals Pork and pork products are forbidden in the Halal diet and anything containing alcohol is forbidden as well. A full list of and the reasons for the food being forbidden can be found in the Qu ‘ran. The animal was slaughtered by a Muslim, or by a Jew or a Christian – this ensures that the animal was killed in a clean human way. This also ensures the meat is fresh. Death from a blow to the head, or fallen animals, are not permitted. – The cause of death would have been unknown from “fallen animals”. The meat could have been diseased or infested with parasites. This stops the spread of disease from animal to human. Pork and blood are prohibited altogether. – As science has proven; blood carries a large amount of disease and transfer easily. Pork was also forbidden in other religions. Animals with cloven hoofs were thought to be unsanitary in the time the Qu ‘ran was written. Although, we know today that there is no evidence to back up this claim and many people safely consume pig meat today. In order for food to be recognized as “fit for human consumption” in the Muslim world, it must obtain the Halal certification. The criteria required to gain the Halal certification may differ slightly depending on what country you live in but is mostly the same. A full list of the requirements in the United States can be found on the ISWA website. There are also international requirements that apply for exporting meat. Food that gains the certification is labeled with a stamp on the front or the back of the product depending on the country where it is sold. However, in the United States some Halal foods are left without and label or are unlisted. Australia has recently become an authority in Halal foods and has also food monetary success in Halal exports. Baby formula, biscuits, bread, candy, cheese, chips, cosmetics, donuts, juices, gum, ice cream, mints, multivitamins, pizza, pot cleaners, soap, taco bell (limited items), toothpaste, yogurt. The specifics and the limitations, and are broader list can be found on the Halal website. The diet is becoming more popular outside the Muslim world because of the high quality of the meat and the practices taken in slaughtering the animal. Let’s face it, the meat industry is a hell on earth for the animals subjected to it. Fortunately, we live in a world where information is readily available. People were not always aware of the mistreatment. Now that people are becoming more and more aware of this mistreatment, they are turning to farm raised butchers, where the animals are treated more humanly. Halal meat takes that a step further. The animal not only lives a high quality life but it is ensured the most painless death possible. The animal has its throat slit, this not only provides a quick death but also cuts the pain sensors to the rest of the animal’s body. This ensures the animal does not suffer. All Halal meat is slaughtered with these high standards. Cow’s milk is an issue for a number of infants and young children. All organic fruit juices made out of organic or artificial flavor aren’t Halal because ethyl alcohol is employed as a solvent in pure or artificial flavor. Vegetables and fruits are kosher according to Jewish law so long as they don’t have any bugs. The most frequent spice used is curry. Soy sauce also contains alcohol and ought not to be utilized in cooking. It’s pretty famous that beef is a kosher animal supply, and pigs aren’t. 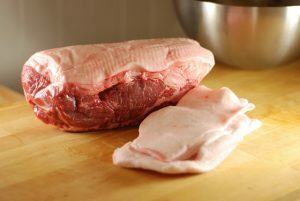 As soon as it is simple enough to prevent these meats, there are frequently other ingredients that are created from pig products and can be hard to recognize. Kosher poultry can’t demonstrate any symptoms of being pecked, sick or injured. Among the basic fundamentals of kashrut is the overall separation of meat and dairy solutions. Food rules Make these modifications to your diet to reduce your weight and receive a flat tummy fast! The relevant religious authorities know of such conditions. For this reason, it must not be relied on to help in making or refraining from creating a decision, or to help in choosing a strategy. It shouldn’t ground vanilla beans or vanilla bean speck since it’s not real vanilla beans that are very pricey. Folks who don’t keep kosher often tell me how hard it is. It is not a style of cooking. Even within the house, standards of kashrut people employ vary. Slaughtering facilities have to be inspected to guarantee halal standards are satisfied. In the same way, so many steps, and so many specialized individuals take part in the creation of kosher meat and all the steps have to be followed, or else that meat isn’t kosher whatsoever. Since food is a significant part of day-to-day life, food laws carry a unique significance. The food is very good, he added. Therefore, if you adore the spicy foods you may prepare on a diet, do it. This diet doesn’t have a rating since it does not have sufficient votes. Vegetarian diets change from family to family. Because the Halal diet is a method of life eating program, there’s absolutely no exercise mentioned with that. The Halal diet is chiefly practiced by Muslims who are living in non-Muslim nations. There are two main categories to be on the lookout for when seeking to adhere to a halal diet. It isn’t an exhaustive collection of dietary requirements but rather an overall idea of the sorts of food that maintain a wholesome body and avoid illness. The info provided on the site is intended as information only and doesn’t constitute advice. It is possible to find more info about kashrut at the websites of significant kosher certification organizations.